When the Celebrity Edge was introduced to the cruising world last month it touted lots of new features…a big orange thing-a-ma-jig called the Magic Carpet which goes up and down the side of the ship, a huge multi-story, multiuse room full of plants called Eden and a prow unlike any other. 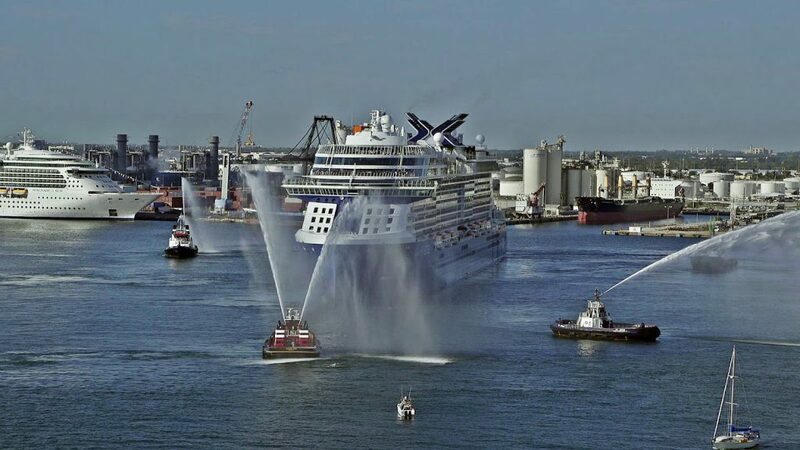 But all that aside, the most impressive thing that Celebrity Cruises did is pick a most unusual godmother to christen its newest creation. For those who pay attention to these niceties, godmothers are typically celebrities, members of royal families (or the owners families) or really, really influential women in the travel industry. But this godmother was special in oh, so many ways. Malala Yousafzai is but 21 years old and is the youngest woman to win the Nobel Prize. 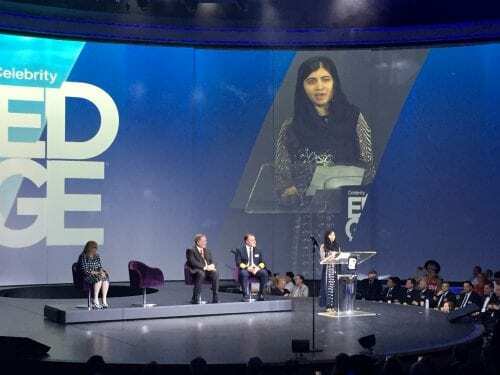 She became known worldwide when, in 2012, as a young teenager, she was attacked by the Taliban in her native Pakistan for campaigning for the rights of all women to an education. She nearly died, but recovered after several surgeries in the UK where she resides today and attends Oxford University. 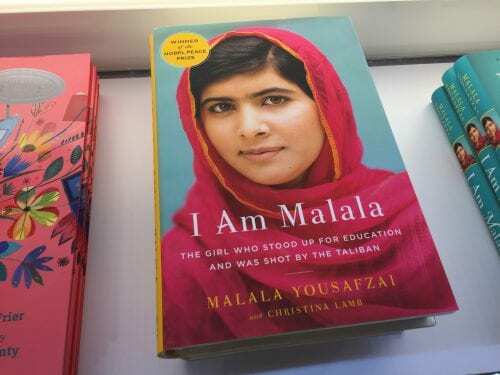 While studying, she continues her work as a co-founder of the Malala Fund which supports local education activists in extending education opportunities to all women. The naming event was held on board the ship on Dec. 4, 2018, while it was docked at Celebrity’s new terminal in Ft. Lauderdale. More than 3,000 guests, employees, crew members and students witnessed the program which took place in the ship’s main theater and was televised throughout the ship to other venues. 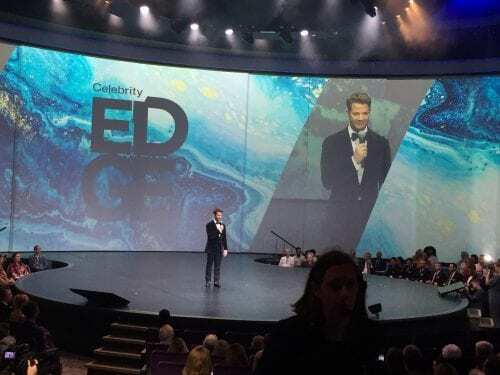 Designer Nate Berkus, who acts as a brand ambassador for the company, was the emcee. It was lovely to see Malala in person, dressed in a simple but glittery abaya-type dress, with a simple scarf about her head and shoulders. She spoke briefly, but impressively, in excellent English. And, in a nod to her Islamic faith, the ship was christened not with champagne but with a custom-made 18-liter bottle of Badoit French mineral water. Most times after a ship christening, you come away wishing that the speeches would end and the ship would sail soon. This time, though, the good feelings lingered the rest of the day.